Manny Pacquiao proved something this past Saturday night against Brandon Rios. What specifically that something actually was depends on who you decide to ask. For some people, the simple fact that Pacquiao was able to break his streak of back-to-back losses was enough. These folks acknowledge that Brandon Rios isn’t exactly Juan Manuel Marquez, but they maintain that a win is a win. For others, the fact that Pacquiao could withstand a hard shot, like he did in the third round of this weekend’s match, and then bounce back to dominate the rest of the way was the biggest takeaway. Again, the lesson from this weekend will vary from person to person depending on who you ask. Here is what doesn’t vary, though: Popular opinion on the logical next step. Clearly, priority No. 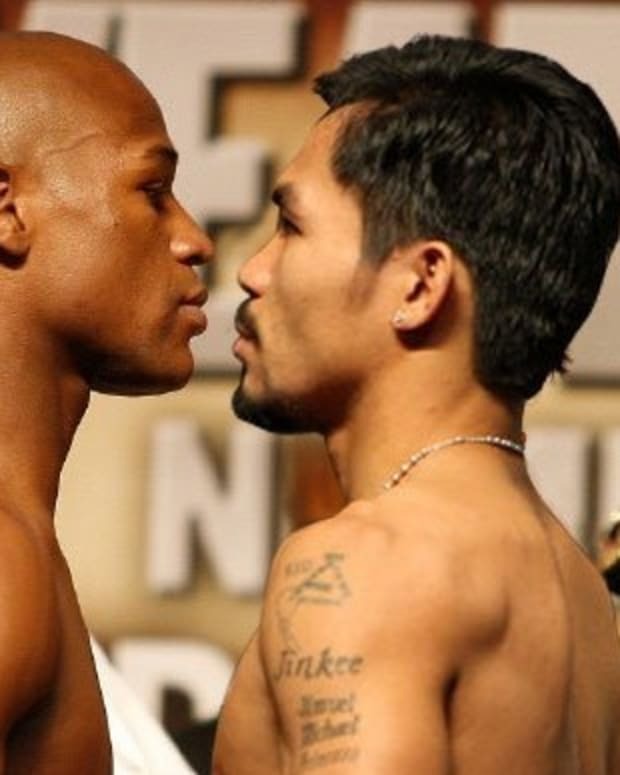 1 at this point should be scheduling a bout between Pacquiao and Floyd Mayweather Jr.
Last week, Top Rank boss Bob Arum indicated that he was ‘very open’ to a Mayweather-Pacquiao bout in 2014. Of course, this isn’t the first time we’ve heard this sort of stuff. From either camp. Conveniently, whenever both sides talk to the media they’re ready and willing to fight each other. However, when it comes time to fight one another, magically, the signals start getting crossed. 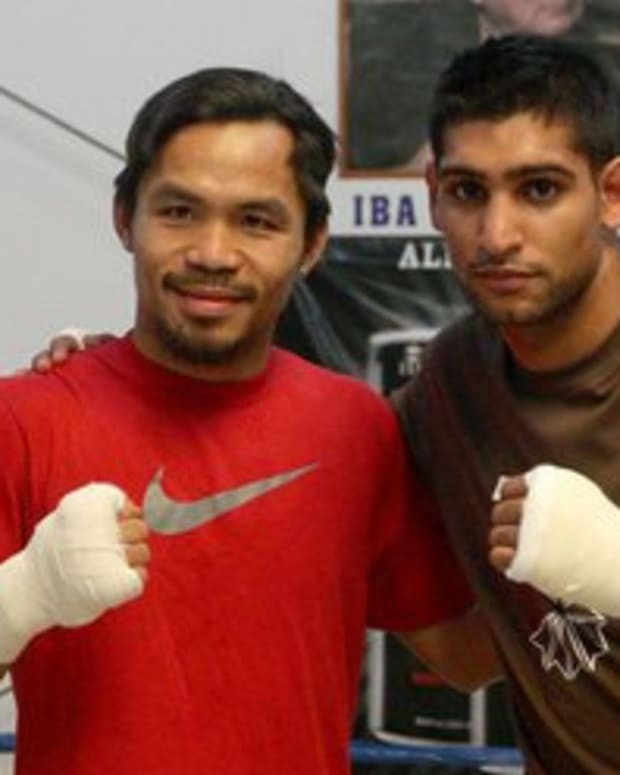 Here is why this may happen now: The only legitimate opponent on the horizon for Mayweather at the moment is Amir Khan. And while two years ago this may have been a bout somewhat comparable to Mayweather-Pacquiao, that is no longer the case. Mayweather knows this. Showtime knows this. They don’t want a repeat of the Robert Guerrero fight. 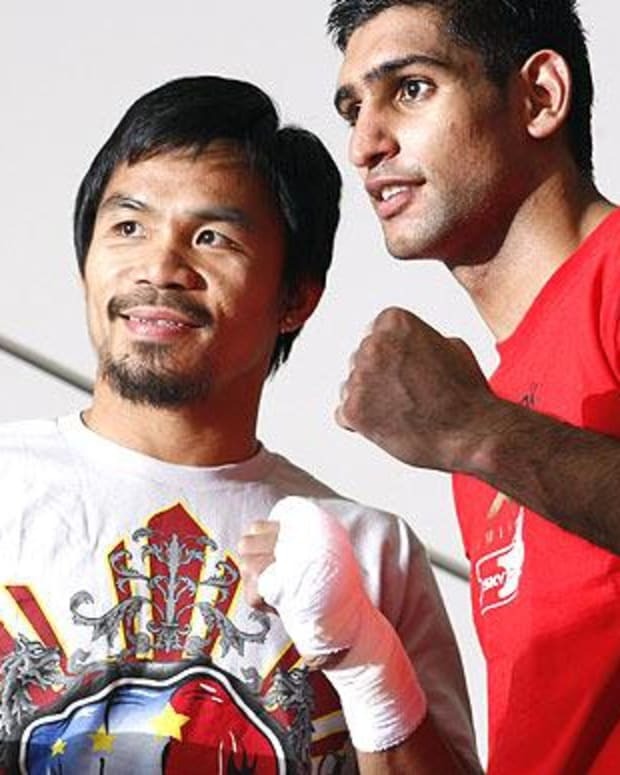 Pacquiao, meanwhile, has no allegiances to Khan anymore. Whereas in the past he might have stepped aside to let Khan have his big break, them no longer being in the same camp means that it’s every man for himself. With Pacquiao just having fought this weekend and Mayweather earning a victory over Saul ‘Canelo’ Alvarez in September, it feels like it’s too early to talk about next year. It isn’t. The agenda for 2014 will be set in the next six five to six weeks. Stay tuned.